As you play Seven Knights you begin to collect various heroes, materials, weapons, etc. The goal is to build these heroes to their apex strengths for use in battle. To accomplish this you can upgrade heroes, granted they have achieve Level 30 status and have Powered Up to Rank 5. 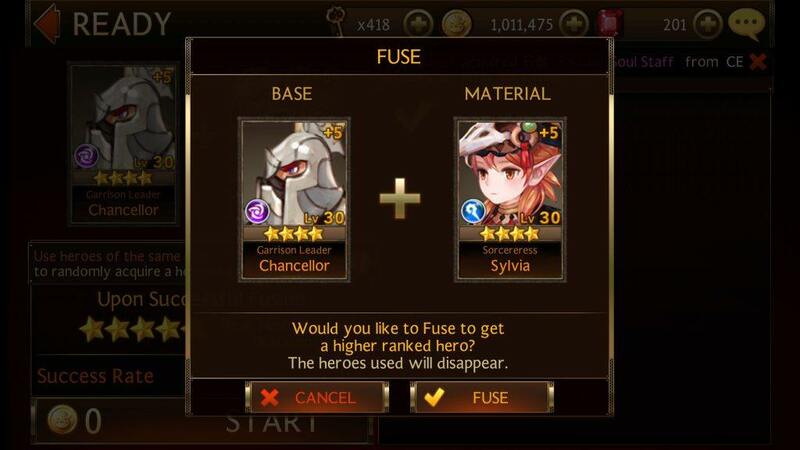 First ensure both the base and material heroes are not on any teams by removing all if they are. There are two ways to Level Up; either play with the character and organically advance levels winning bouts or spend Rubies to “Lucky Level Up”. 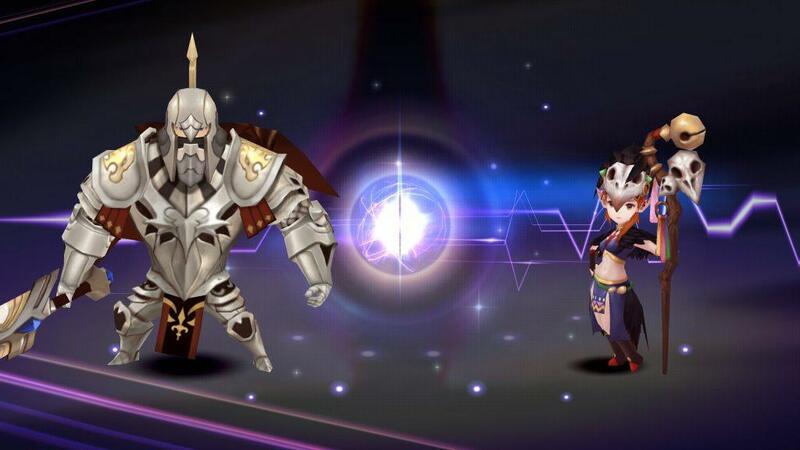 The latter offers a random amount to level up and is costly at 30 Rubies each time. There are two ways to Power Up; sacrifice same or lower rank heroes until you reach max 5 or use a similar rank power up crystals- read our full guide here. To fuse a Seven Knight hero you must visit the Hero management menu. Tap on the one you want to upgrade and hit Fuse. If max upgrade criteria meets this will list all similar heroes you can use. Important: this will sacrifice both heroes. Fusion cost gold coins. Next you can tap the Start button and Fuse button to start the process. 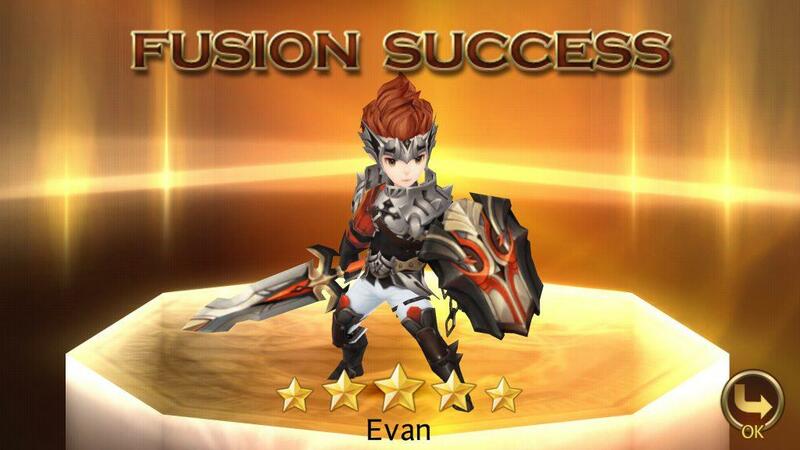 Upon successful completion of fusion you will receive one new higher rank hero. 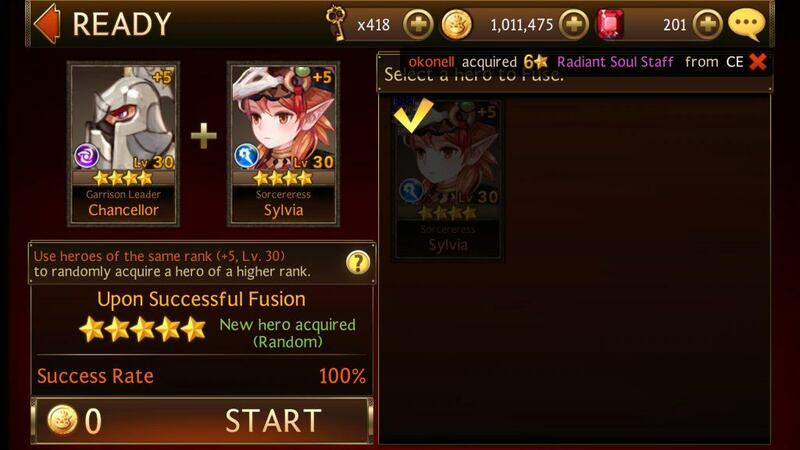 In our screenshots we illustrated both 4-star ranked Garrison Leader Chancellor and Sorceress Sylvia randomly fused into 5-star General Evan. If you’re interested in learning how to Rank Up heroes read our guide which explains all a few methods. Ranking upgrades the same hero of focus rather than offering a random one. If you found this article useful, please use and link back to us. Read our review and play Seven Knights on PC via BlueStacks. Have any question? Comment below!